If you want to convert your videos at home, there are many challenges that you will face. Finding a great quality VCR that is still in working order with clean heads and belts that haven’t aged and stretched is just step one. Step two is to find a reliable and stable video capture device. 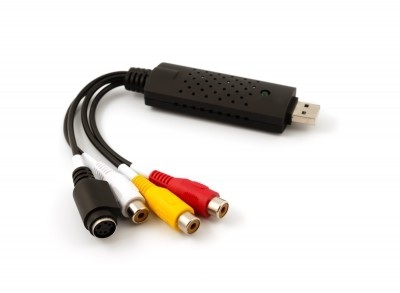 There are many products on the market that capture video over a USB port. However, USB is not the ideal solution. There are four standard speeds for USB devices today and most video capture devices work at the third fastest speed mode called “high speed”. USB was designed to be a universal standard and work with many different devices and at all the different speeds at once, but this causes problems with timing and large data flow traffic. Problems occur with computers that have multiple devices plugged into your computer’s USB slots. Since most computers have only one USB controller that manages all your ports, having a mixture of high speed devices and slower devices such as a “low speed” keyboards and mice. When those devices need to communicate information back to your computer, the USB controller will have to temporarily halt the high speed traffic to service the much slower traffic coming from those devices. The data may be minimal coming from a keyboard or mouse, but since it is coming so slow compared to the high speed traffic, a large amount of traffic can get backed up. Imagine if a freeway had a crosswalk. The program that is managing your video capture device can easily run out of data and inadvertently put small gaps in your captured video which result in very short screen freezes or frame drops in your video. You may not realize just how problematic that moving your mouse during a capture, can be. Having a professional grade setup that doesn’t rely on USB will ensure that you don’t have dropped frames and will give you the best quality capture. Two Squares has professional grade equipment that will convert most video tape formats without any interruptions in the video stream and ensure that the picture is the highest quality possible. Another feature that will affect your video quality is the type of recordable blank DVDs that are used and your compression and interlacing methods. 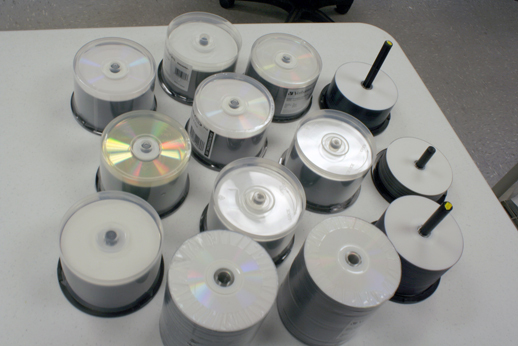 Many of the chain stores that do video conversions will use a single sided recordable DVD for your two hour video tape. However, putting a two hour video on a single sided DVD means that you will have significant compression loss in the video because they have to lower the quality of the video to make two hours of video fit on one single DVD. Ideally, to get the maximum video quality, only one hour of video should be placed on a single sided DVD. At Two Squares, we will also use “dual layer” DVDs which will allow you put up to two hours of the best quality DVD onto a disc. We use the highest quality compression possible for a DVD. Most personal recorded analog video tapes there were transferred from a camcorder are typically in an interlaced format. What this means is that the video content only contains every-other line of video for each frame of video. The next frame of video contains the opposite set of lines. Therefore you are only getting half of the frame content for each frame. You can typically notice this more on video that has fast moving objects. The hard lines on these objects will appear jagged and dashed. This concept is a left over technology from the Cathode Ray Tube television era where there was limited channel bandwidth and technology to support non-interlaced video signals. At Two Squares, we post process all interlaced video to interpolate the offset lines to fill in this data to provide a smoother image.